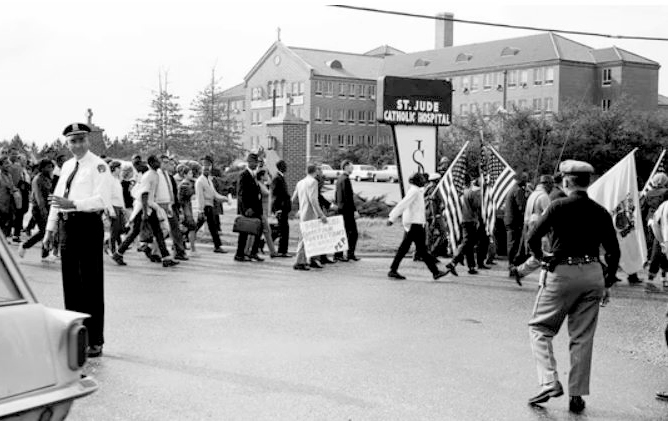 The City of St. Jude played a key supporting role in the Selma to Montgomery march. Here, marchers gather in front of the facility's grounds on March 15, 1965. Photograph by Ray Ariatti. Courtesy of Special Collections and Archives, Monroe Library, Loyola University New Orleans.